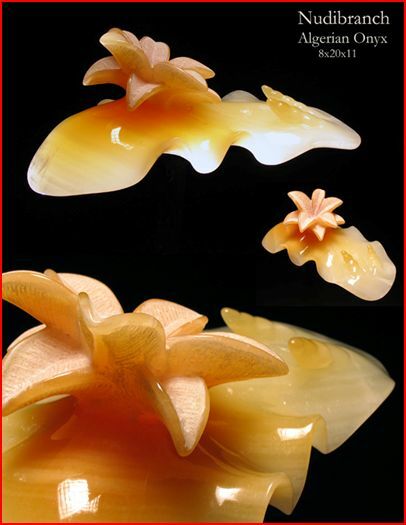 Anyone who has marveled at the beauty of a nudibranch will appreciate the gorgeous sculptures being crafted by Gar Waterman, Stan's youngest child. Gar's artistic bent is not limited to nudis. He does sculpture that you could almost eat, although, as he points out, "The subfamily Epinephelinae of the family Serranidae, commonly known as grouper, which inspires this particular piece of piscine sculpture, is a bit on the expensive side in terms of cost per pound, and not so good for grilling, but it does boast an extremely long shelf life." THE CONCEPT: Tiny, magnificent, and often more outrageous than anything we could imagine, nudibranchs are among the least recognized ocean inhabitants to the general, non-diving public. The goal of this project is to create a hybrid arts/science exhibit that celebrates the extraordinary visual and biological characteristics of one of the planet’s most colorful and varied inhabitants. Gorgeous macro photographs by some of the world's finest underwater photographers, utterly unique nudibranch sculptures in stone and onyx, succinct descriptive graphics, and educational outreach programming will bring the biology, colors, and extraordinary configurations of these creatures to light. Beautiful photographs and nudibranch inspired sculptures will be the visual arts platform that will render the equally intriguing science of these creatures both accessible and interesting to a wide range of audiences. THE FIRST VENUE: Your photographs will be part of an exhibit at the award ceremony for the Pinedo Award, a very prestigious event attended by many of the CEO’s of the world’s biggest pharmaceutical companies. The Pinedo Award is given annually to an individual for achievement in translational oncology. In the world of cancer related medicine, it is one of the highest awards out there. Research on nudibranch toxins is helping to develop new drugs to treat cancer and a number of other diseases, so the nudibranch you see might one day save your life. THE FUTURE: Following the Pinedo Award event, the sculptures and photographs will become part of an exhibit that will travel to Science Museums and Aquaria here and abroad. A spotlight will shine on these exquisite creatures, and the exhibit’s unique mix of art and science will seek to add its voice to a critical call for marine conservation and the importance of maintaining biodiversity. WHAT’S IN IT FOR YOU: An opportunity to have your photographic work shown with some of the best nudi shooters out there and to be seen by a whole lot of people. This exhibit will have a strong marine conservation message – the more successful it is, the better chance it has to raise people’s awareness of the environmental issues facing the world’s oceans and to do something about it. Short term, there is the potential for selling your photographs and connections to be made. 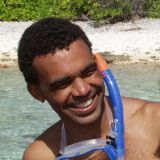 Long term possibilities include merchandising images for the Science Museum/Aquarium circuit – catalogs, posters, etc..
WHY: I grew up diving with my father, u/w film maker Stan Waterman. 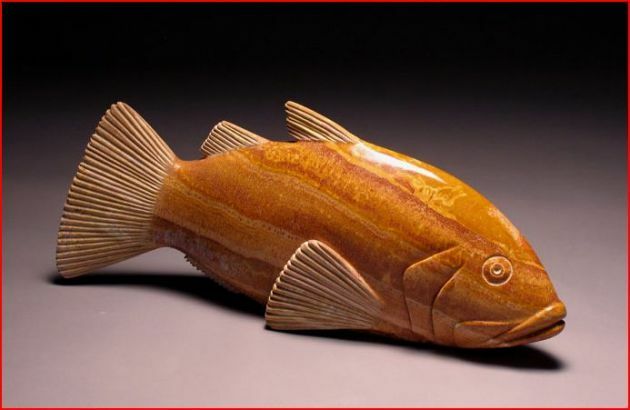 I have been a sculptor for 35 years, and the beauty and grace of the underwater world has always been a primary source of inspiration for my work. I have loved nudibranchs since I first encountered them in French Polynesia, where we lived for a year when I was 9 years old. This project presents a chance to give something back to the sea that inspires us in the form of a visual celebration of one aspect of its many beauties, and to get the message out that these incredible creatures are a part of what we stand to lose if we continue on our present course. I hope you will consider having your photographs included.